Allnex is a leading supplier of resins and additives for architectural, industrial, protective, automotive and special purpose coatings and inks. The company’s product range entails innovative liquid resins and additives, radiation cured and powder coating resins and additives and crosslinkers for use on wood, metal, plastic and other surfaces. ADDITOL XW 6565 is a universal, glycol-free, polymeric multifunctional grinding medium from Allnex, specially developed for the production of low-VOC point-of-sale (POS) and in-plant colorants. Allnex’s ADDITOL XW 6560 is an ultra-low-VOC combination metal drier designed for easy incorporation into low VOC waterborne alkyd paints. ADDITOL XW 6560 has excellent compatibility with highly modified alkyds and other metal driers enabling fast incorporation in any stage of the paint manufacturing process. Types of additives offered: Airase defoamers and deaerators, ZetaSperse dispersants, Dynol superwetters, Surfynol wetting agents, Carbowet surfactants and EnviroGem additives. The Airase SSDL defoamers are a line of formulated, siloxane-based defoamers that have been designed to have predictable performance relative to each other. To assist formulators in quickly finding a dispersant for their pigment formulation, Air Products offers the Formulators Assistant ZetaSperse Tool (FAZT) to provide product recommendations and starting point formulations for over a thousand different specific pigment grades. Types of additives offered: dispersants, wetting agents, surface modifiers, defoamers, rheology modifiers, film-forming agents, light stabilizers, stabilizers, suspension agents, thickening agents, UV absorbers, waxes, waxes-polyethylene. A non-APEO pigment wetting agent for water-based coatings, Hydropalat WE 3111 provides excellent color acceptance and can be used as a dispersing agent in base paints. Low odor; < 1% VOC. A VOC-free, dispersing agent for water-based systems with benchmark performance in inorganic pigments, Dispex Ultra PX 4575 offers improved color development and lower viscosities in pigment concentrates containing transparent iron oxides and other inorganic pigments. Borchi OXY - Coat 1310 is a product in our patented line of curing additives. It can be used in all coatings oxidatively drying resins, e.g. alkyds, vegetable oils, epoxy esters, polybutadiene. Borchi Gol 1376 is an effective flow promoter with broad compatibility - including high polarity systems. It eliminates surface defects such as craters, pinholes and spray structures and is thermal resistance up to 300° C. The key applications are BADGE- (Bisphenol-A diglycidyl ether) & BPA (Bisphenol-A) free Can Coatings. Bubreak 4481 is a zero VOC, proprietary, water-based defoamer that controls entrained air as well as surface foam with quick knockdown in coatings, slurries and adhesives. friendly, halogen free, carbon based chemistry that creates a char barrier between flame and substrate. 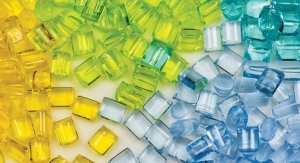 Optimize processes and conserve costs with these multifunctional additives! DISPERBYK-2060 and DISPERBYK-2061 allow formulators to produce pigment concentrates that can be used in both aqueous and solvent-based systems. These wetting and dispersing additives are VOC and alkylphenol-free, complying with BYK’s standards to provide environmentally friendly and highly effective solutions. DISPERBYK-2026 is an all-purpose wetting and dispersing additive that can be used for a broad range of organic and inorganic pigments and in a multitude of binder systems. Suitable for single and co-grinds, as well as pigment concentrates, DISPERBYK-2026 functions in wood and industrial coatings in addition to coil coatings. Types of additives offered: High-performance, environmentally-friendly solutions to formulators, resin manufacturers and additive producers through its wide range of specialty surfactants and bio-based building blocks. Priplast XL 101 is a di-functional polyester polyol building block that balances high flexibility and exceptional strength while giving better hardness. This polyol offers excellent retention of hydrolytic, thermo-oxidative, UV and color stability and good chemical resistance. It furthermore bring enhanced adhesion properties and is suitable for polyurethane applications in the most severe conditions where commonly polycarbonate diols are used. Priplast XL 102 is a di-functional polyester polyol building block that balances superior elongation and excellent strength while giving better hardness. This polyol offers excellent retention of hydrolytic, thermo-oxidative, UV and color stability and excellent chemical resistance. The polyol brings faster strength development and enhanced adhesion to a variety of substrates and suitable for polyurethane applications in the most severe conditions where commonly polycarbonate diols are used. Types of additives offered: HASE thickeners, HEUR thickeners, microspheres, surface-active agents, surfactants and dispersing agents (nonionic), surfactants and dispersing agents, texturizing agents, associative thickeners, cellulosics, viscosity modifiers, wetting agents. ACRYSOL RM-725 Rheology Modifier offers smoother surfaces, better applied hiding and no-drip sag resistance in a solvent-free1, easy-pouring HEUR for vinyl acrylic (PVA), vinyl acetate ethylene (VAE) and other acrylic binder systems. Powered by ACID SUPPRESSION Technology for pH triggered association, this next-generation HEUR is also APEO free2 and contributes to ICI viscosity. TRITON HW-1000 Surfactant High Performance Wetting Agent is a non-APE based surfactant that features excellent wetting and leveling performance and demonstrates low foaming and de-foaming capabilities. By reducing the surface tension of water-based solutions, it helps reduce defects in coating films. TRITON HW-1000 Surfactant helps meet low- and no-VOC regulatory requirements and addresses industry requirements for faster processing while improving gloss and smoothness. Types of additives offered: Foam Control, slip & mar, texturing, leveling, gloss, wetting, adhesion promotion and surface treatment, water resistance, pigment treatment. A highly effective foam control agent for solvent based coating systems, offering optimal defoaming and antifoaming at very low addition levels. It shows good compatibility in solvent based coatings and has low tendency to cause craters or impact gloss or clarity of the coatings. Dow Corning 8590 Additive shows good compatibility in waterborne coatings and ink systems and has a low tendency to cause surface defects. Performs at low dosages and over wide temperature range. Low viscosity allows easy disperibility into waterborne paints and inks. Selection consists of oligomers with varying Tgs that allow for flexibility in mechanical properties. Formulators looking to eliminate object deformation can select an oligomer with a high Tg and low linear shrinkage. The oligomers also cover a large range of viscosities so formulators can achieve the flow characteristics they desire. The oligomers help to overcome common nail coating issues such as low gloss, color drift, regulatory compliance issues, premature chipping, and high heat generation during cure. Coatings formulated with Bomar oligomers have a non-yellowing, high-gloss finish for vibrant coatings, and exhibit excellent durability for a longer lasting salon-fresh look. Types of additives offered: Cellulose esters (rheology modification, defect control, color consistency), Adhesion promoters (adhesion to modified polypropylene substrates, other plastics), Solvents (for desired application/performance characteristics), Resin Intermediates (unique structural options for coating resins to meet performance properties), Additives (faster dry-to-touch time, excellent anti-sag behavior, ease of sanding). Eastman Texanol ester alcohol, the premier coalescent for latex paints, provides the highest level of film integrity at low levels of coalescent. Eastman Texanol is suitable for all types of latex paints and maintains good performance regardless of varying weather conditions and substrate porosity. Eastman Optifilm additives for low-VOC paint are compliant, low odor, efficient, non-yellowing, and safe. Our Optifilm coalescent and open time additives keep you ahead of VOC regulations and customer requirements without falling behind in performance. New bright white virtually CS-free diatomaceous earth matting and opacifying additives for the paint & coatings industry. 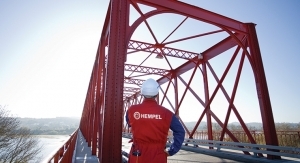 Get ready for a bright future with our new unique, high performance coatings additives including flux calcined DE, natural virtually CS-free DE and perlite, cellulose and PE thixotropes. These functional fillers have been proven effective for many years in paint, stucco, and coatings applications. These unique products, made from trillions of microscopic diatoms, make Celatom and CelaBrite the world’s finest paint pigment extenders and flatting agents. 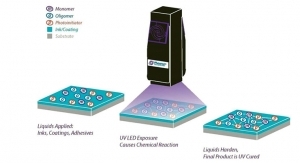 Dispersant for inorganic pigments in solvent and resin based formulations. Effective in dispersing mixed metal oxide pigments and TiO2. Contains hydroxyl functionality allowing the dispersant to crosslink into urethane and melamine based formulations. Currently being used to disperse infrared reflective pigments in urethane top coats and primers for aerospace applications. Additive for epoxy coatings that can be applied with either the epoxy or hardener and is compatible with any solvent. Takes the place of many other ingredients. Improves corrosion resistance, enhances flexibility, improves impact resistance and even gloss. Has shown the ability to improve pot life and cure time. SILIKOPHEN AC 950 is a new high-temperature resistant, high solids silicone resin.This product cures at ambient temperature, utilizing a catalyst. Application displays good impact resistance and non-blocking properties. SILIKOPHEN AC 950 is HAPS-free, and it is intended to provide protective properties in industrial applications. TEGO Airex 990 and 991 represent a new generation of deaerators and defoamers for solventborne high solids coatings. These liquid products contain 100% active substance, are free of organic solvents, and boast good recoatability. This gives the formulator the advantage of setting the solvent content. Paraffine treated product based on SILLITIN V 88, which is a mixture of silica and kaolinite. 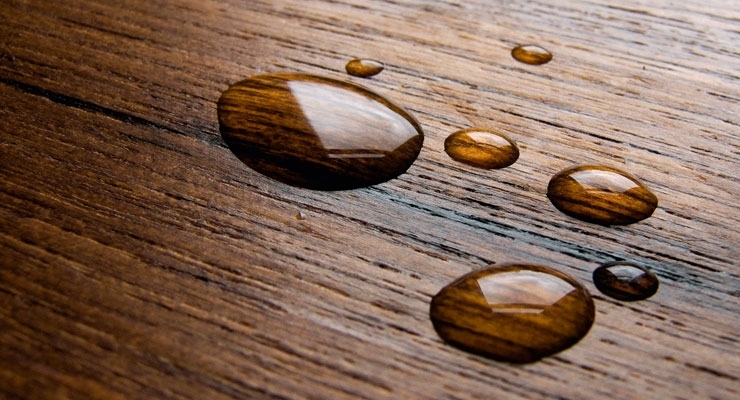 Aktisil WW offers optimum resistance to water and stains and best appearance on dark woods. More advantages in dispersion-based clear wood coatings are the easy dosing and incorporation, hardly any dust formation and wood grain enhancement. GLOXIL WW is a silicagel modified with a special additive. The surface modification improves inclusion in dispersion films of the silica particles responsible for matting. This produces films which despite an outstanding matting have good water and stain resistance, especially for acrylate-based coatings. Non ionic emulsified, 40% soilds paraffin wax emulsion comprising strong early water resistance in different types of pigmented coatings formulations including facade paints; high quality low-oil content paraffin for low dirt-pick up. Universal wetting and dispersing agent, especially recommended to stabilize TiO2/filler in waterborne paints and coatings in order to optimize colorant acceptance, gloss and hiding power at low dosage level. Types of additives offered: Ken-React Titanate, Zirconate, and Aluminate Coupling Agents in liquid, powder & pellet form; Ken-Stat Transparent Antistatic Agents; Kenflex aromatic resins; Kenplast non-reactive diluents. This unique combination of Proxel preservatives and Omadine antimicrobials offers a dual mode of action for inhibiting microbial growth in latex emulsions, water-based paints, adhesives and pigment dispersions. Proxel BZ Plus Preservative prevents discoloration and provides the extra protection customers need. The patented Omadine ZOE antimicrobial is formulated to prevent discoloration due to interactions with various elements in paint formulations. Features include: Low VOCs, inhibited growth of fungi, algae and bacteria, color-stable, fine particle dispersion (in water) of zinc pyrithione, and alkaline pH stability. NatureShield 44 is based on parrafin blend and natural oil emulsion. This low VOC emulsion has been developed especially for pigments penetrating wood stains. NatureShield 44 is characterized by outstanding water beading, very high color stability and low darkening of the substrate. A strong reduction of mildew growth can be achieved applying NatureShield 44. ProHere I 13002 is designed for metal coatings that need to deal with extremely high temperatures. It provides good adhesion, very high chemical resistance and excellent high temperature resistance. Micropro 700 is a unique combination of modified polypropylene and PTFE that has been micronized to a 2.0-3.0 NPIRI grind gauge reading. It’s formulated to impart gloss reduction and blocking resistance along with lubricity (slip) provided by PTFE. Micropro 700 will also impart improved mar and rub resistance. MicroKlear 709 is a finely micronized combination of polyethylene, carnauba wax and PTFE ideally suited for use in coatings applications where excellent gloss retention, clarity and slip are desired such as in clear lacquers and OPVs. CERETAN MXF 9820 D is a spherical, micronized polyolefin wax coated with PTFE that provides excellent abrasion and scratch resistance, excellent gloss and minimized dust properties compared to milled waxes. It is primarily used in printing inks and wood and powder coatings. The spherical shape offers a very even surface, improves the dispersing properties and reduces the amount of wax usage due to its high efficiency. The PTFE concentration is reduced by the “MXF” process which results in cost savings and quality improvements. EDAPLAN 494 is a wetting agent and dispersant for inorganic and transparent pigments as well as for laked red azo pigments in aqueous media. It is ideal for the manufacture of flood/float-free aqueous coatings systems (air dry and force dry, 2K systems) and for the manufacture of aqueous resin-free pigment concentrates. It stabilizes pigment dispersions and reduces the mill-base viscosity. EDAPLAN 494 achieves very high pigment loading at low dosage in binder free pigment paste formulations which results in cost savings and quality improvements. DeGreez functionalizes a wide variety of coating systems with degreasting/antifinger-printing capability. ProteCoat confers non-toxic, environmentally benign, long-lasting, highly efficacious antimicrobial activity to a wide variety of coating systems. FluoroSLIP 533 PTFE/oxidized polyethylene powder is specifically designed for waterborne coatings to provide excellent scratch, mar and scuff resistance. As part of the powder-in-powder technology of shamrockt FluoroSLIP 533 offers immediate and easy dispersibility. SST-4P high performance PTFE powder provides the ideal combination of economics and performance. SST-4P provides excellent slip, rub and abrasion resistance in can, coil, industrial and UV coatings. Siltech C-890 is a high silicone content silicone acrylate functional pre-polymer that is designed to react under UV or other free radical cured process into the film and provide slip, abrasion resistance and release properties. The product does not generate foam. 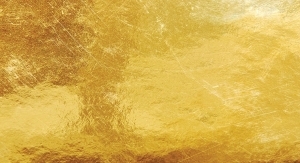 Siltech C-759 is used for solventborne UV curable topcoats. It helps to impact market resistance, anti-graffiti and anti-stain properties, while also improving release. It will also improve water and oil repellance. Troykyd D209W is a high-performance defoamer that offers excellent functionality in a broad range of aqueous systems, including high-gloss and wood coatings, both clear and pigmented, as well as other end-use areas, including spray applied systems. With a solvent-free composition, Troykyd D209W is an excellent choice for environmentally ‘green’ coatings. Troysperse ZWD1 is an advanced wetting and dispersing additive for ‘green’ aqueous coating and printing ink applications. Troysperse ZWD1 is formulated for excellent color development, fast dispersion time, high gloss, and high pigment loading, and is effective at low use levels, resulting in optimal cost performance. 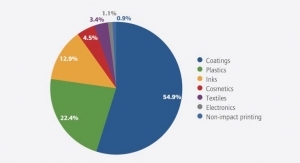 With an overall value of $4.76 billion, the market for high performance pigments is poised for steady growth worldwide. 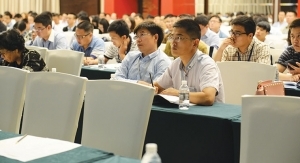 This annual event jointly organized by Coatings World and Ringier was held May 24-25 in Shanghai. 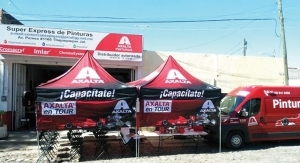 Diversified trends in automotive colors and increased consumer competition are driving this market forward. Regional demand is likely to exceed GDP in the region. 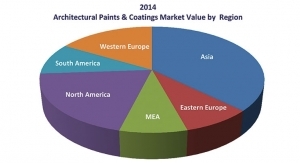 The market for industrial and protective coatings has potential for growth in a number of key markets. Here is a look at the latest offerings from select biocide suppliers. Low- and zero-VOC coatings are moving out of the specialty category and are becoming a must-have option. Leaders from P&G, Ford Motor, Toyota, PepsiCo and Nestlé will provide insights on using energy curable technologies.